Safety is the top priority in any sports activities! I totally understand fun is the main factor in skateboarding. Yet, you will have more fun when knowing your head is fully protected for the entire time. 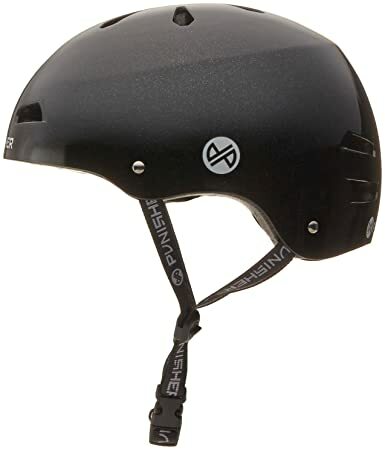 If you are looking for the best skateboard helmets, I can help you to save some time and money. I include below a list of 12 skateboard helmets that you can wear without worries. They have the top toughness and great quality designs. You will definitely feel comfortable and cool while having so much fun on your skateboard. I also write a guide on choosing good skateboard helmets, so stay tuned and happy reading! How can I pick the right size if I order online? What certification is best for skateboard helmets? When should I replace my helmet with a new one? Let’s start with the best helmet on my top list! 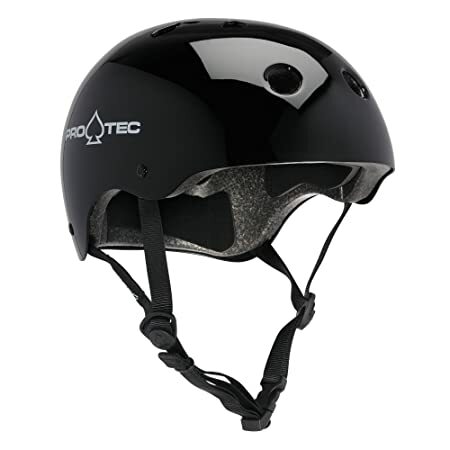 The Pro-tec helmet is one of the best skateboard helmets for adults. You might have heard about the top quality of this brand in the community. It specializes in skateboarding safety helmet over 45 years. With the High-impact ABS shell, you can obviously feel the toughness of this beast. Combine with the certified EPS liner, it is ready to withstand multiple impacts. If you prefer some technical information, this helmet is certified under ASTM F1492. You will also feel cool for most of the time, all thanks to the 11 ventilation system. Not many helmets like Pro-tec that can fit in many vents without compromising the quality. I was very amazed by this design. You can pick this up right away for a starting price of $39.99 up to $66, depending on the size and color choice. This is a great deal for such a high-quality helmet! Triple Eight is also a competitive choice for your safety needs! 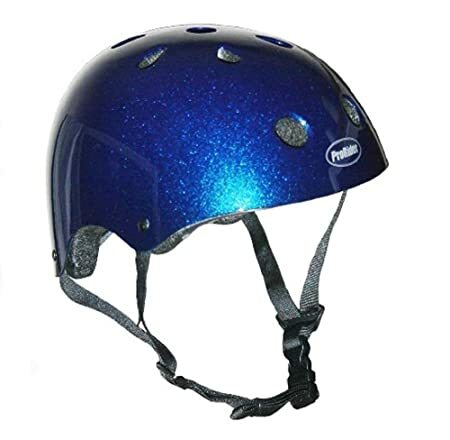 You will love this helmet since it fits well for both children above age 5 and adults too. Even better, it is also suitable for both cyclists and skateboarders. You cannot ignore the versatile advantage you got here! The ABS outer shell with EPS liner is profoundly durable for your protection. Along with the Sweatsaver fit pads set, you can feel both comfortable and fit right away when engage the adjustable straps. About the quality, as Triple Eight helmets got both certifications for consumer safety (CPSC) and skateboarding standards (ASTM F1492-08). The brand is a reliable pick for those have a passion for biking or skateboarding. You can order for your family just for $35.99. With the helmet versability, you won’t regret having it as one of the best skating helmets! This is another excellent helmet from Triple Eight! Do you hate the gusting wind? This one will fully protect your face while you rushing downhill or skate at great speed. As mentioned above, you got the quality covered by the CPSC 1203 bike and ASTM F1952 skating certified. The hand-laid fiberglass shell is extremely durable to completely protect your head. Your front face and vision have the shatter-resistant visor. If you don’t feel the need for it, just flip it up for a clearer view. This is an ideal choice for bikers and skateboard cruisers here. The EPS foam liner looks smooth and gives a clean style of your personality. Though for all of these benefits, the price is quite expensive starting at $274-$314. 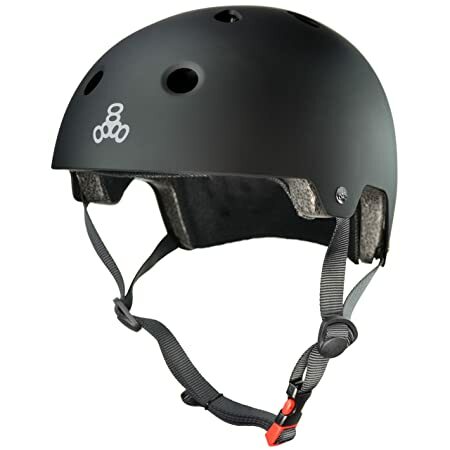 If you need full protection for both impacts and wind, this is one of the best skating helmets here! Ok, for the last Triple Eight helmet is a bit different! Since it does not have any certification, I should warn you that we are relying on the brand’s quality for this typical one. Regardlessly, I still suggest you this one for the multi-impact design and various sizes. It is quite similar to its brother above. The design is very strong that can protect you well in case of fall or collision. You also have the Sweatersaver liner that can eliminate the smell of your sweat stains. You would be glad that it also prevents your sweat drippage. A drippage in your eyes is very dangerous when you are skating need to see what is ahead. The rubber finish should last for a long time before showing any scratches. The best deal for you here is there are huge options for color and style to customize. Moving on to Punisher, a brand that is also famous in the skateboarding community. Here you have all benefit of a cool skateboard helmet! You don’t have to worry when buying from one of the top brands here. This helmet has dual certification for both bike (CPSC 1203) and skateboard (ASTM F1492). The design is very cool looking with the metallic black color. If it is not your type, feel free to choose from eight other styles. When I say “cool”, I mean both the look and the ventilation system. You have yourself here with 13 vents in total. It is to ensure your head to stay dry while skating, even it is hot outside. Regardless of what size you pick, Punisher also includes three removable foam pads to adjust your best fit. Hence, it is a professional choice for many skateboarders and bikers. Don’t miss out this special helmet and get one now! Some people report the tightening mechanism does not work after a few months and require fixing. 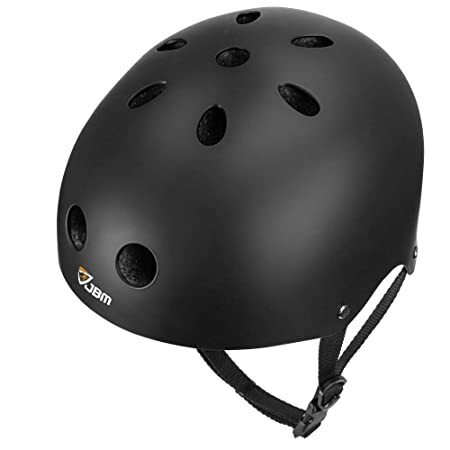 I promise you this is one of the best skateboard helmets for adults. 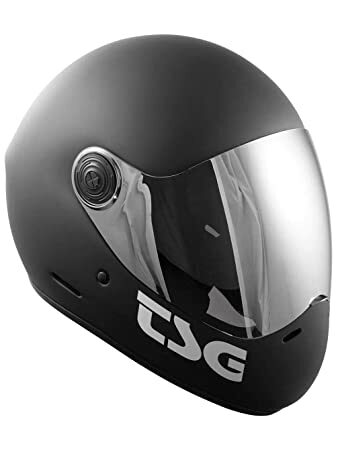 It really worths your time to check out this TSG pass helmet. It is very attractive if you wear them for both biking and skateboarding. Especially, you go in high speed, it is going to protect you against the fierce wind. The main feature here is to give you full visibility in any conditions. With the anti-fog coating on the visor, you don’t have to worry about having your breath accumulates the fog that blocks your vision. Even with a closed design, there are slots on the side to help your hearing and perception of the surroundings. 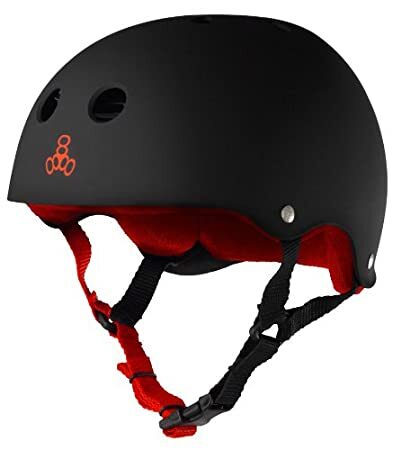 This helmet is perfectly safe for downhill skating, certified by CPSC and ASTM standards. Don’t worry about the size of this baby! There are cheek pads to help you adjust accordingly for the best fit. Besides the practical functions, this helmet is ultra tough having multi-layered glass fiber on its shell. Your safety is the priority here! The helmet arrives with two bonus visors for your customization! You will have one Electric Silver and one clear style for your preference. They have both UVA and UVB protection features. If you prefer more color and style options, Bern Unlimited Watts is a worthy choice. It is even competitive with the best skateboard helmets in the market. The brand’s helmets are really tough and fit well for all seasons theme. I was satisfied with this helmet due to its crank fit design. There is a simple dial adjustment system for easy sizing with your head. The amazing feature here is the Bern’s ThinShell technology. Don’t easily underestimate the helmet hardness and durability. It has met with CPSC, EN1077B, and EN1078 which makes it worths every penny of yours. Having said so, you will feel very light when wearing this helmet. All thanks to the balance between the ABS design and EPS foam thickness. Everything is optimized for your best skating experience. Trust me, this helmet would worth your $46 bucks. You are paying for the premium lightweights, wide options and comfortable fitness. From here and below, I suggest some affordable helmets for those have tight budgets. This ProRider helmet meets with the CPSC standards, so don’t hesitate to check this out. Even though it is cheap for $16 bucks, this helmet is very versatile for multi-sports purposes. You can wear this helmet to prevent moderate impact risks. It also has a decent ventilation system that keeps your head dry and cool. Though, you should consider a better helmet if you are playing outside in the summer. The adjustable straps are simple to use, as well as the quick release buckle. The helmet will have fit pads along to help you adjust with the right fit. If you prefer a simple helmet, you can save lots of money with this one! JBM focuses more on the materials to assist your safety. 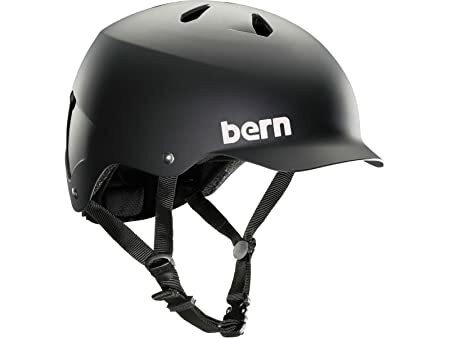 If you don’t mind the simplistic look, this is also another affordable option for skateboarding helmets. Even though the brand claims to have CPSC and ASTM certification, I don’t really see what type/number in specific for the level of standard. The overall reviews are very positive from many customers though. 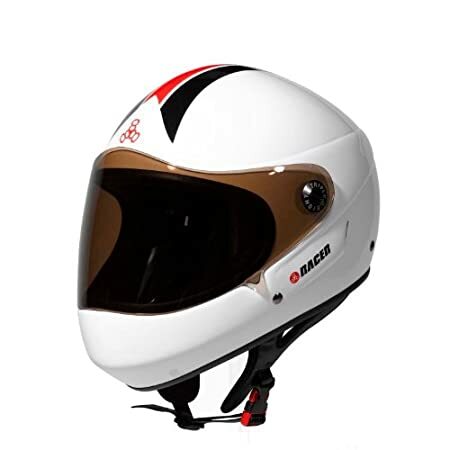 This helmet features high impact resistant materials. The PVC shell and soft foam liner can take many impact challenges as you practice those sick skills. You are safe and well-protected in minor falls or moderate impacts. As I inspect the ventilation, they are pretty handy and designed with breathable foam. Everything is to keep your head dry and cool as long as you skate. The price is very cheap starting at $18 bucks, and available in many colors and sizes. Don’t miss out this opportunity to try these helmets! 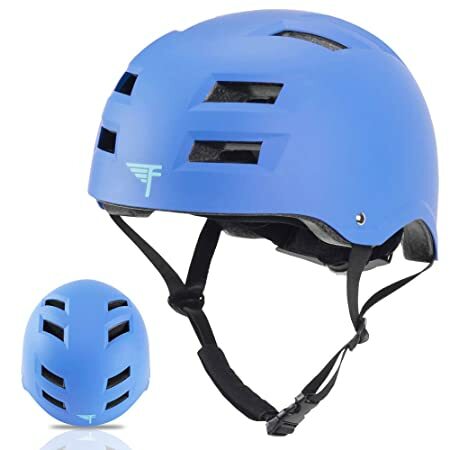 Similar to many affordable helmets, Flybar even offers a wide variety for both kids and adults. I would suggest this brand to a higher ranking if they can show in specific what certification they comply with. So you should ask the seller for this certified information if you decide to roll with this helmet. Other than that, Flybar is a good option with over 9 different colors and designs. You can have a lot of fun browsing here! What I love from this brand is the snug fit of its helmet. There is a spin dial on the back of the helmet to help your adjustments. The cooling designs are quite attractive and functional too. The helmet materials are standardized ABS out shell and EPS foam to protect your head efficiently. The price is close to the average range between $30-$57. It is the best suit for both kids and adults too. You can wear this for many sports activities as well. Such a great deal for a universal helmet. Last stop here! 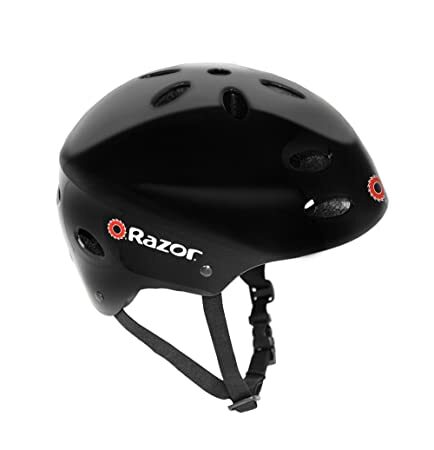 Yet this is a cool helmet from Razor. This helmet is all about looking awesome while you are skateboarding. The brand offers over 10 different colors and style to match with your personality. The gloss colors just bring your attractiveness to the next level! Besides the looks, you will definitely feel the breeze on your head. This helmet design has over 17 top and side vents in total. You don’t have to worry about the hot weather even skating in the summer. The ergonomic interior padding is fine to keep your fit and comfort. Though you won’t have the perfect fit here, it is enough to have the adjustable straps if you don’t mind. For a $30 bucks helmet, I believe this is a cool looking helmet to wear during the sunny days. The only problem I have is the brand does not specify which certification standards it follows here. Fitness – I cannot stress how much important this is for a good fit helmet. You have to stay focus on the road and your tricks, period! Having a tight and uncomfortable helmet is the worst thing you should worry about constantly. Make sure the tip of the helmet you wear is about 2.5 cm away upward from your eyebrows or forehead. Then put on the strap closely and buckle up! Shake your head a bit to see if the helmet is shaking along or stay firmly (not too tight) on your head. If it is still shaking, meaning you don’t tighten up enough. Safety certification – make sure you check which certification the helmet complies with. As consumers, we can’t tell the difference between materials and the overall construction. Don’t easily trust the phrase “CPSC certified” or “ASTM certified” make sure there is a number of level standard along. Best to buy directly from the brand under its warranty. Ventilation system – Easy pick on this one, make sure they have enough vents on the sides, rear, and top of the helmet. Also, check if you can hear clearly the surrounding noises. You need to know there is a car or something coming from behind if you skate on the street. Straps and retention system – Though these play a minor role, yet they complete your safety picture! Make sure the straps and buckle can tightly secure your head. Let’s face it! Accidents happen. Check if there is any cracks or defects on the buckle and straps. You definitely don’t want a loose strap or buckle that expose you to unnecessary risks. Also, keep in mind if the interior padding is comfortable for your head. Are they feel too hot? Itchy when wear for a few minutes? Some small things like that. Each product/brand should provide a size chart and instruction to measure your head size. Take a look through the displayed pictures or review sections for more information. It is best to buy those helmets having additional fit paddings for your easy adjustments. When you have a major accident that your helmet hits very hard, even sound with a hard “bang” as it collides with the ground. You notice some cracks in the internal liners. Must replace immediately. Over the period of 2-3 months, you have encountered countless minor falls and accidents. You notice many scratches on the outside of the shell, yet there are no cracks inside the interior liner. It’s still the right time to get you a new and best skateboard helmet for your hard work.